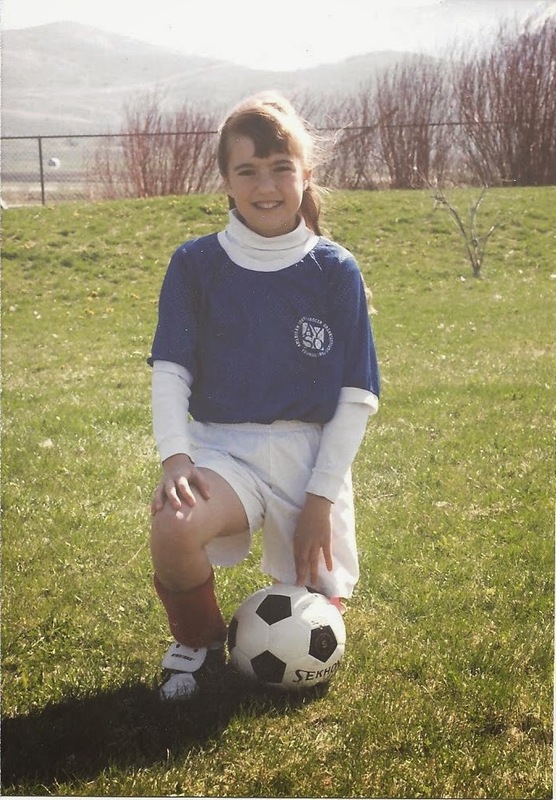 As an elementary school-age child, I played soccer for several years. * It was kind of the sport to do among my friends and I had fun teams and great coaches. But I quit when I was about 12 years old. I wanted to start running track and having every Saturday taken up was annoying, but there were deeper reasons as well. In soccer, I played two positions most of the time. I either played sweeper or goalie. The sweeper, as we used it, was basically a position where I watched the field and played where I needed to play based on the position of the ball. I helped where extra help was needed and moved quickly up and down the field to wherever I needed to be. I loved playing sweeper because I love running and I loved the strategy of watching to know where I was needed. And I also played goalie. Goalie was not as fun for me. Because sometimes the other team scored against me. It’s inevitable, really. But I hated it. As goalie, I felt like I had failed the team when the ball got past me; I thought I was a terrible goalie. It was pretty stressful for a kid! I would get upset because not only had I failed the team but I had failed myself. I then felt upset with my own team for not helping me when I needed help. I didn’t like being upset about something so insignificant–upset at myself, or at my team–so I decided to pursue other opportunities. Wow. You had no idea I was like that, did you? Actually, I bet you did because I haven’t changed too much. I’m no expert at analogies because analogies always break down at some point. But these past few weeks I started to realize something about two of the many ways I approach life–as a sweeper and as a goalie. While not perfect in the similarities, I realized where I need to improve. I do really well as a “sweeper” when working with other people. I love to look at what’s going on in the world, among my friends, in my ward, and everywhere really, and see where I’m needed. I love to be there when someone needs help. I am anxious to run here and there, to and fro, to be there for others. But then I am often in a one-on-one defensive position in how I work with others. And sometimes a ball gets past me. There is no possible way to be perfect (on our own) and so things are going to happen that aren’t what we want to have happen. I make mistakes. Sometimes it’s because I am not paying attention or I don’t watch things carefully enough and sometimes I make mistakes simply because I can’t physically, emotionally, or mentally figure out how to avoid that particular ball. And that’s where the goalie in me comes out. I get upset with myself for not being able to handle the situation. I get upset with my friends for not helping me out. And even if, in the end, the situation is resolved, I still feel the pain of not performing how I wanted to. So recently, I sought some advice on the subject of failure. I spoke with a life coach about the fears I have that hold me back in my life. One of her first pieces of advice to me was that I needed to understand I am a loving person. And that because I am so loving and because I love others so deeply and want to help them so much, the adversary/voice of fear/opposition/whatever you want to call it, speaks loudly to try and stop me from loving. Because there must be opposition in all things. The key, of course, is to not listen. Realizing that we are all loving people, but that sometimes we make mistakes–which does NOT equal failure, it’s just a mistake–is one of those things that I know, but that I don’t really know, because I sometimes don’t yet believe what I know. Well, the opposition that told me I was bad at being a goalie also tells me that I’m bad at relationships (of any kind) and bad at a heck-a lot of things. But, I finally realized why I was asked to be goalie so often. Because I was actually good at it. It’s kind of an important position and it’s hard. But I was relatively good at it and worked hard to keep the ball out of the goal. I worked hard to let my team know when I needed help. I was good at being a goalie. Why else would they have kept putting me in? I was actually good at something I thought for so long that I was bad at. I am actually good at being a sweeper and a goalie. I’m good at helping people, and I’m good at hard things. I’m good at being on the defense and trying to block the hard shots. And contrary to popular opinion (my own, of course) I’m good at relationships and making things work out. What do I struggle with? Mistakes. I struggle with dealing with failure and I struggle when I let others down. I struggle when others let me down. But that is something I can change. And what a blessing that is. Because God is kind and allows us the opportunity to change. We can all learn to deal with mistakes, let-downs, and failures. I was a good goalie, I just needed more practice to block the hard shots and more emotional confidence to react better when the inevitable ball got past me. Likewise, I am good at relationships and other hard things, but I could do better at dealing with mistakes–on my part or on the part of others. Perhaps I just need a little more practice and some increased emotional confidence. And maybe a half-ton of patience. Plus some oranges and a Capri Sun at half-time. I think soccer would have been a different experience for me had I known that. But I’m grateful I can make my life a different experience now that I do. *I think the Brazilian in me is thinking a little too much about soccer due to the World Cup in my pátria amada this week. Goooooooooollllll! Dang it! I was all ready for my comment to be "Gooooolll!!!" And then you preempted me. Way to block my ball, goalie! Love this! (Look at me, your old English teacher, still reading your writing.) I hope through this life coach you can learn to be kind to yourself after mistakes. Like you said, they're inevitable. We're not here to be perfect, try as we might, but to be perfected through the atonement. great analogy! You are so insightful!